I'm in the belly of a writing project right now, working my way through The Reckoning series and feeling a bit bogged down in the parenting and homeschool part of that discussion. I'm exploring the question how do we come to terms with our parenting regrets and our homeschool mistakes? And it's a beast; not just the writing but making space for the exploration of doubt, failure, and human frailty. Some of us want to skip over the losses, on our way to bigger and better things, "nothing to see here folks". But we need to acknowledge our pain and disappointments with honesty and compassion, and we need to find helpful and healing ways of processing what is an essential part of being human. Our consumer culture doesn't want to linger there, and often has a three point plan or a product we can buy to help us exit this terrain as soon as possible. But I'm not going for the fast exit on this one (something I don't believe in, by the way), so it's taking some time to process and to write. I've had today's post written for a while and haven't gotten around to publishing it. Now is a great time to bring it out of drafts so there's something to read on the blog while I'm still in the belly of The Reckoning Series. 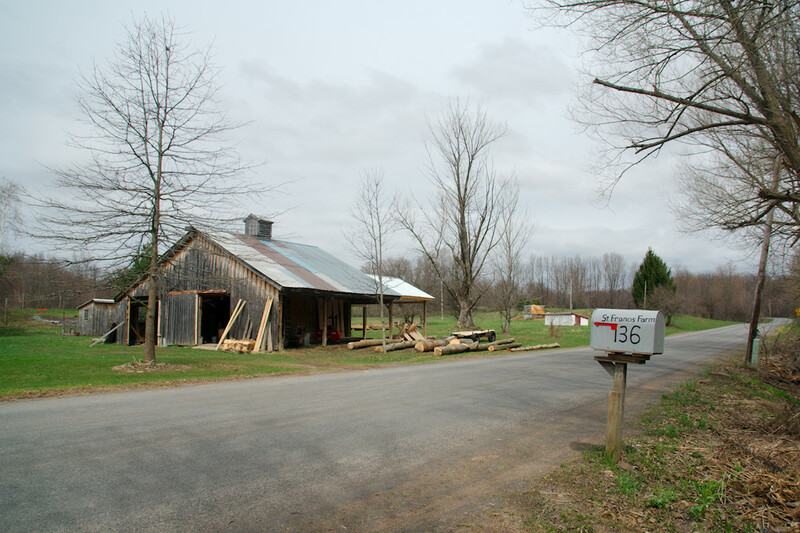 This past spring I visited St. Francis Farm in New York State for three days. 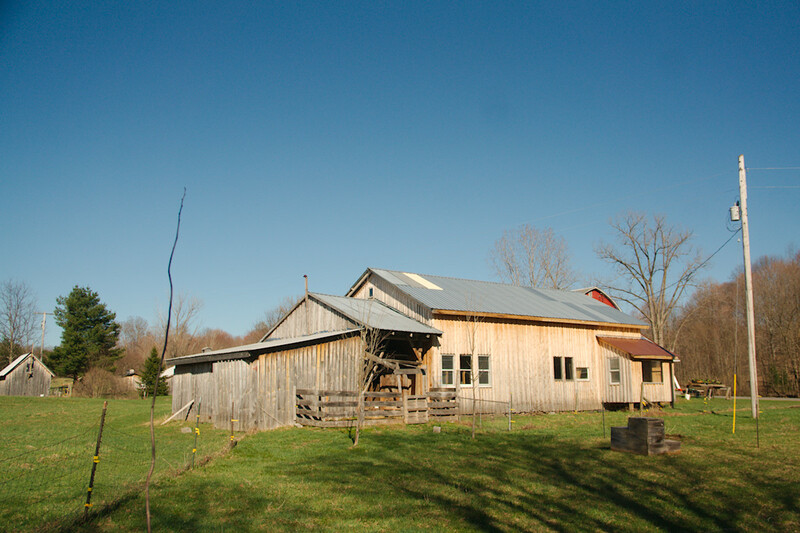 The farm was founded by Catholics but is currently managed by a Quaker family. 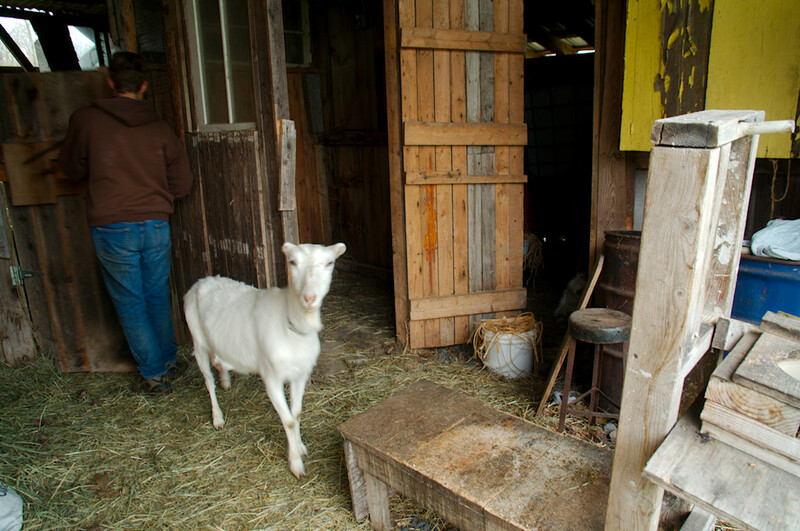 My visit to that farm was the impetus for the Evolving Journey of Faith blog series. 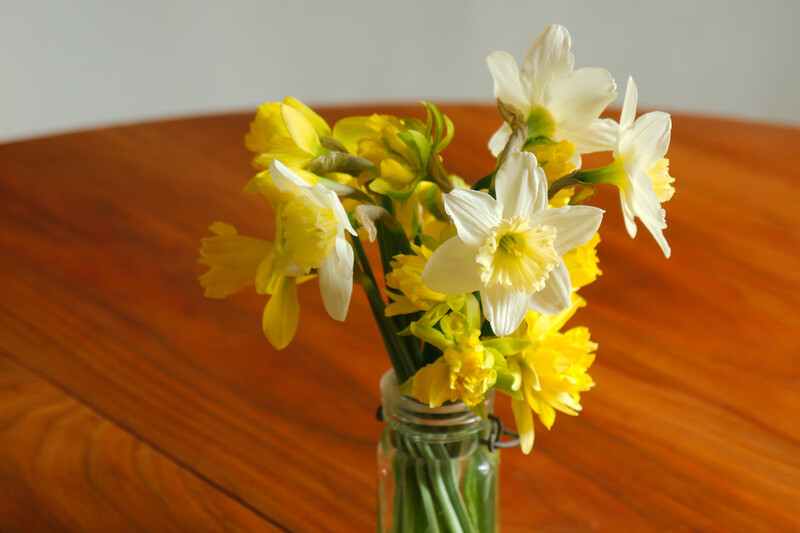 At the end of my three day visit I was asked me to write a review of my farm stay to be published in the farm's spring newsletter. Sitting down to write that review unleashed a cascade of thoughts and feelings about my faith. I wrote a review as succinctly as possible; sticking to the main points of my farm visit and addressing a few things I was asked specifically to comment on, submitted it for the spring newsletter, and then wrote my way through everything else bubbling below the surface: the spiritual nature of my upbringing, my conflicted feelings about the Bible and evangelism, wrestling with my faith, my deconstruction, and finding freedom. I assure you, the story isn't over, it's not "wrapped up tidy". I go through this process - reflecting on where I've been, having conflicted feelings, wrestling, deconstructing something in self, finding freedom - over and over again. And the blog series isn't done yet either, I'd like to write about church and community and I still need to share a list of resources that have helped me. My spiritual journey is the most energizing, life-giving, and life-affirming thing I've got going on right now. The journey itself, the intellectual questions, the pursuit of the Divine, and figuring out what that means in how I live - these things captivate me - body, mind, and spirit. To talk and write about it is the most natural expression in the world for me. Which is why these themes are coming through in everything else I write. This is the edge. My review of the farm visit was written for the farm newsletter audience so it has a slightly different feel than a regular blog post. Also, I mention spiritual direction in this review. I'm now meeting with a spiritual director through the Ignatian Spirituality Center of Montreal. Spiritual Direction is a little different than my first impression and what I mention in this review, it's more expansive and prayerful. Less "head" experience of God in my life, and more "heart". This could be, and probably will be, the subject of further blog posts. Without further exposition (you know I love talking about the process), here is my review. This spring I read the book The Long Loneliness by Dorothy Day and was introduced to not just her amazing life but the Catholic Worker Movement. 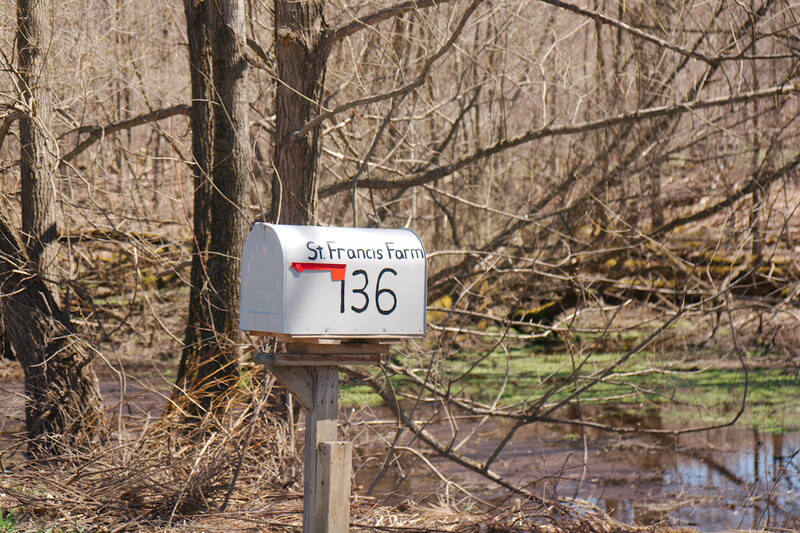 One lazy Sunday afternoon, after spending a couple hours under the bedcovers reading Day's accounts from the founding years of the organization, I googled "Catholic Worker Movement" and discovered a community at St. Francis Farm, a few hours from my home in Montreal. As I read about the farm my curiosity and interest grew to visit for myself. I contacted the farm stating my desire to volunteer/visit. My spring was already fairly scheduled with my commitments to family and community. May would be a flurry of drama rehearsals and play performances, family visiting, and my daughter's 18th birthday. In June I needed to prepare for our summer road trip across the continent. I had a four-day window in April that was perfect on my end. Could they accommodate me then? I submitted my volunteer application and was delighted to hear back that yes, I could come at that time. So I put it on the calendar, double checked that my passport hadn't expired, and started to anticipate my "trip to the farm". The volunteer application asks, "what motivates you to volunteer?" My answer was multifaceted. Here are a few things I wrote on my application. I want to spend time on a farm/garden. I love gardening and growing things and like to put my hands towards that work. I want a change of pace from city life. I like having new experiences that don’t push me too far out of my comfort zone. I want to experience the reality that I am part of something broader and deeper than my little world here in Montreal of family life, homeschool co-op, and church. I want to participate in other intentional spiritual communities that are outside my regular faith community, but not so far outside my faith experience as to be disorientating or inaccessible. I am drawn to reflection and contemplative practices and I want to immerse myself in environments where these values are important. I have so much to learn from others about how to live well. For me, the farm presented the perfect opportunity to get out of the city, get dirt under my fingernails and work in the soil, meet new people, and have a life experience that is outside usual context, but not too far outside my comfort zone. 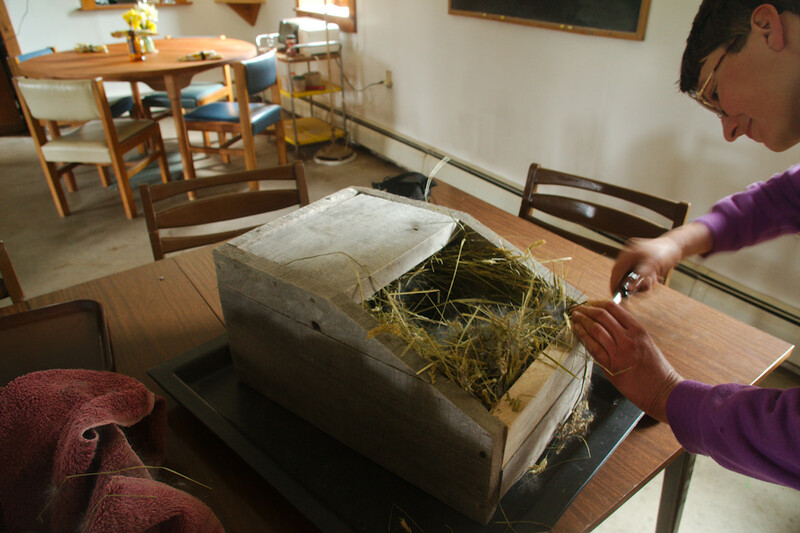 While all of those can happen in quite a few farm volunteer contexts, what attracted me to St. Francis Farm was the chance to meet, live and work with a Quaker family, to experience first-hand a reflective and contemplative spiritual community. When Lorraine and Joanna said yes, I was welcome to come, I was so excited. But the experience itself far exceeded my expectations and desires. I went to the farm to have a "farm" experience. I desperately need to get out of the city on a regular basis to be in touch with nature - rolling farmland, wooded creeks, the absence of traffic and instead the cacophony of spring peepers - these are things my soul craves. 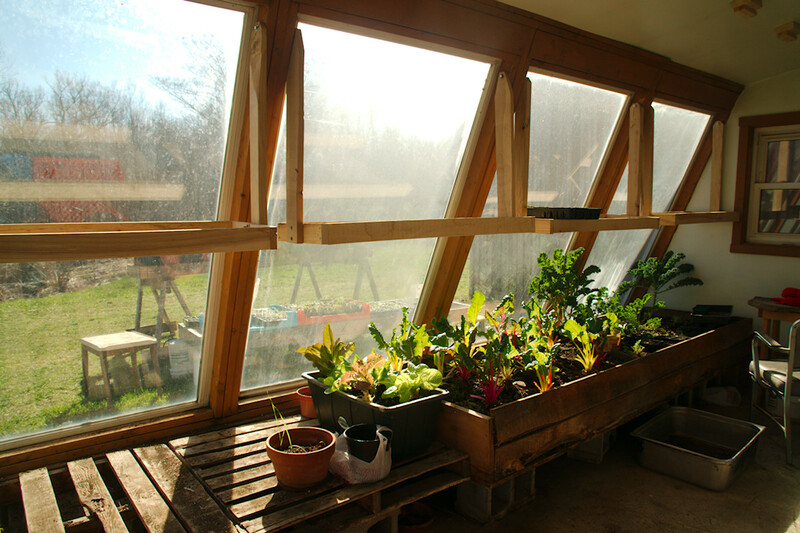 Though I cannot follow these principles in the city to the extent I wish, I esteem sustainable living practices such as growing your own food, raising your own meat and milk, heating your home with wood. And in spite of regular walking and biking around this city that I love, seasonal hiking and cross-country skiing, my body grows softs and strays far from its potential as an organism engineered to physically work the soil from which food, the sustenance of my existence, is grown. Volunteering at the farm provided an opportunity to connect with these aspects of being human: my need for nature and physical engagement with the land. More importantly for me however, being at the farm provided the opportunity to nurture the essence of being human - living in community, serving one another, and engaging with each other's hearts and minds. The depth of my experience at the farm in these matters, specifically the spiritual and intellectual conversations I shared with Joanna while we worked together in the gardens, far surpassed my expectations for my volunteer stay. Of pedagogical interest to me was the family's homeschooling experience and history. Zachary and Joanna were unschooled in the best application of that philosophy of education. They were set loose on their interests, taught to think critically through reading and dialogue, and given real world responsibilities in which to grow skills, knowledge and aptitudes. 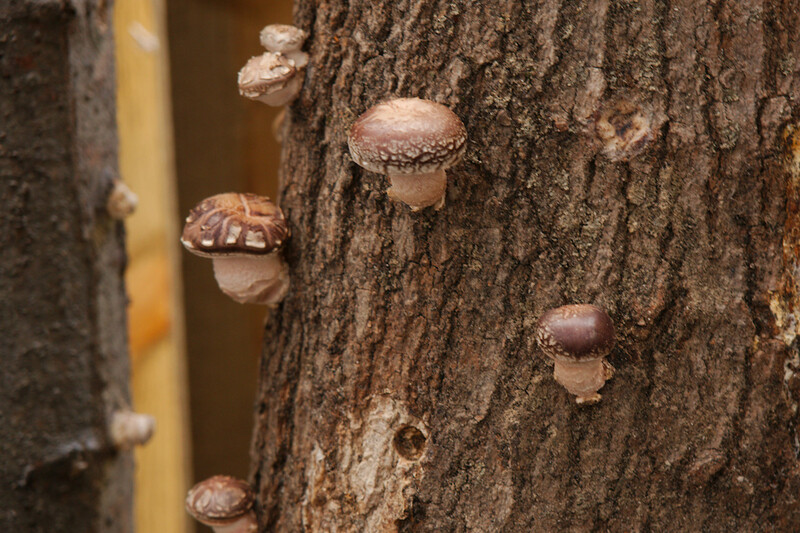 To experience the fruits of their education, to be the recipient of their competence in farming, woodlot management and building construction, and to learn from Lorraine, an experienced homemaker and homeschooler, to be on the receiving end of their generosity of spirit was a gift in and of itself. I realize not everyone visiting the farm will be explicitly seeking this kind of connection. Lucky for you Quakers do not proselytize and show a lot of respect for different faith traditions and lifestyle choices. But if you want to have searching conversations for how to live as a spiritual being in a physical world you've come to the right place. My work experience at the farm included digging and helping to transplant perennials and lilacs to a neighbor's garden; weeding and planting the farm garden with potatoes, radishes, onions, and carrots; transplanting peppers, eggplants, and tomato seedlings into larger pots. I also helped Joanna tend to the animals, feeding the rabbits and chickens, moving the goats, and mostly watching Joanna milk the goats since I was inept at that job! All of this work was made most enjoyable by companionship and open-hearted, open-minded conversation. The weather during my visit was alternately sunny, warm, and clear-skyed and chilly, wet, and overcast. In a word it was spring. I threw myself wholly into the physical work of working the soil and experienced a sore shoulder upon my return home, but this was my own doing, as I was asked repeatedly while working if I was managing ok. My strain resolved itself with a few days of rest and on a future visit I may need to pace myself better. Evenings on the farm were spent walking in the woods, visiting with Joanna and Lorraine in the chapel/library, and journaling and reading in my room. It was wonderful. The idea of a spiritual director, an ancient Catholic and orthodox tradition, is quite popular in the online faith communities and discussions I find myself in these days. I've been fascinated by the idea but unsure of where to start and questioning the necessity of a spiritual director in my life, outside of the discipling relationships I have in the community of believers to which I belong. I am cautiously curious about the idea of meeting with a spiritual director, which as I understand it, is having a safe place to be spiritually vulnerable, to say “I’m questioning this, I’m seeing things from this perspective, how do you see it?" without worrying about the attachments and expectations within my own spiritual community. The farm does not advertise as providing the services of a spiritual director, but my heart was in that space, it was what I was seeking, and therefore it was what I found in the three days of conversations, working, and eating together. I didn't know how desperately hungry I was for this kind of connection and opportunity until I was feasting on it. 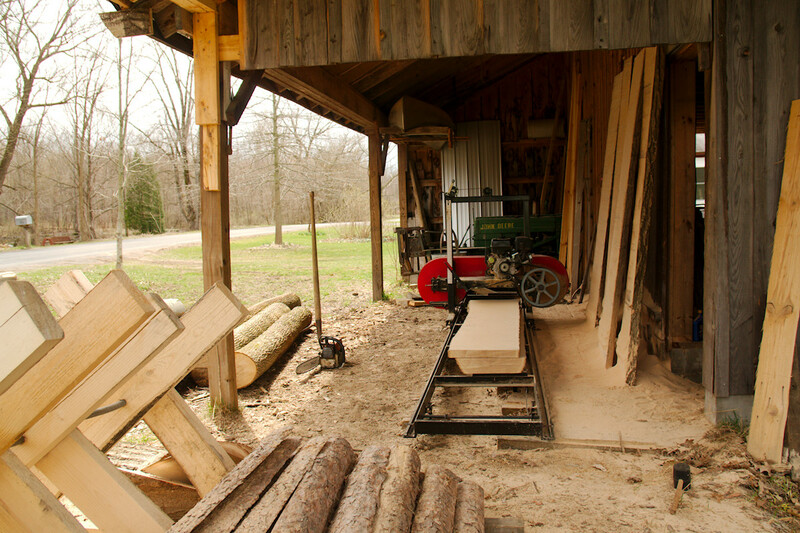 A few things you can expect at the farm: the smell of woodsmoke in the air, early mornings, and physical work. You can expect to eat well. The food is hearty, seasonal, and plentiful. During my stay in April our meals included lots of cold storage and preserved vegetables, fresh goat's milk cheeses, farm grown shitake mushrooms, wild-harvested ramps and fiddleheads, a bit of rabbit meat and pork (both raised on the farm), beans and homemade breads. My time at the farm felt too short and just right. It was intense for me on several levels, I dived deep into conversation with Joanna and Lorraine, I opened my heart and mind to learn, I worked hard. I fully engaged my heart, mind, and body in the experience. Arriving home with a handful of book recommendations, dirty clothes, mud caked boots, and a small plastic container of goat's milk cheese that I helped to make, I felt physically tired but I was spiritually energized. And most of all, deeply grateful for the opportunity to have visited and volunteered for a short period of time. I went to learn, I went to have an experience. I was not disappointed in either. I need to add one more thing. Something I didn't say in the review but want to tell you. 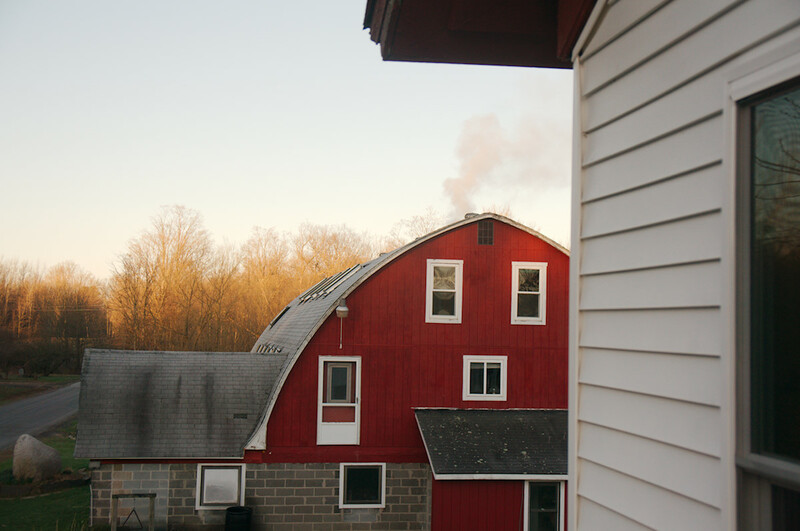 One of the gifts for me of spending time at the farm is that the expression of Quaker faith does not make me anxious. Since coming back to church two years ago (we never "left" church per se but there was no gathering of believers on the Gaspe Peninsula with whom we connected) I've had experiences of anxiety, in church. The trigger is the inability to reconcile something in the message or medium with my own spiritual heartbeat, my own spiritual experience. To be fair, anxiety has been an undercurrent in my life during the same time period in general, not just in church gatherings. But to experience anxiety in a church service brings up a lot of questions: Who do I trust? What do I believe? Is this safe environment for me to explore that? And so I've been processing that, mostly alone and with Damien. Because how do know if it's safe to tell people "church makes me anxious". And how do you do that without giving the impression you're criticizing the community? And what if they become really concerned for your "spiritual wellbeing", which can be a Christian-ese way of expressing fear about the unknown and different. I have enough of my own fear, I don't need fear-based spiritual feedback. Yep, so I've got some of that going on. This spring, I desperately needed a neutral space for my questions. Enter the farm and the Quakers. Quakers show, more than tell about their faith and belief. And they don't tell you what you should or shouldn't believe. They trust the Spirit to do the work in your heart. 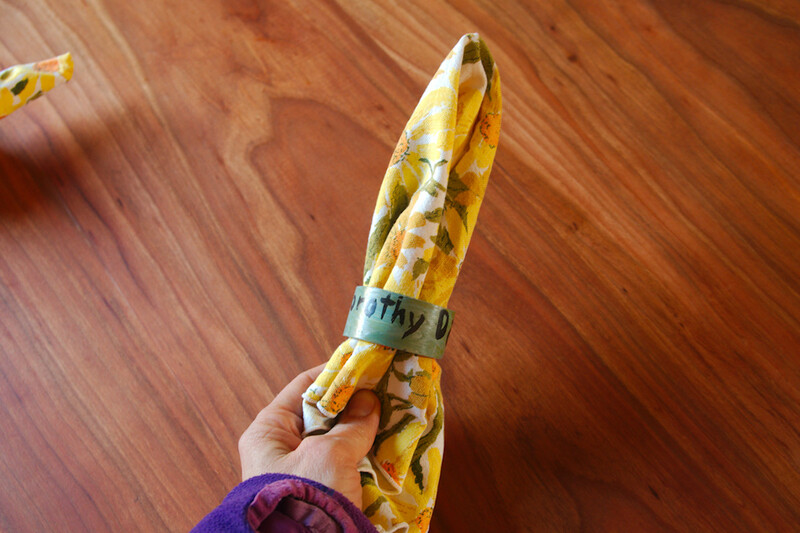 This is a gift for someone coming from a spiritual tradition that likes to tell. This is a gift for a Type 6 person learning to trust the authority of God moving in me instead of always seeking outside authority to follow. This is a gift for someone with anxiety. The Quaker family at the farm live with an integrity to the gospel according to their convictions and circumstance. Their beliefs influence everything from the minutiae to the big decisions of living. I suppose this is true for everyone, but a lot of us live mindlessly in our consumer, empire-istic (not a real word) culture. We go along to get along. There is a deep reflection and thoughtfulness behind Quaker living, at least in this family. This is both humbling and inspiring for a person who comes from a tradition where the gospel, and sharing the gospel, is often narrowly defined and is expressed in beliefs and creeds more than a revolutionary and counter-cultural way of life. I have much to learn from Quakers and other traditions, about grace, the movement of the Spirit, resting and trusting in God, and living the gospel. Pursuing an opportunity and space to learn was the point of my visit. Nicola on Nov. 10, 2017, 7:14 p.m.